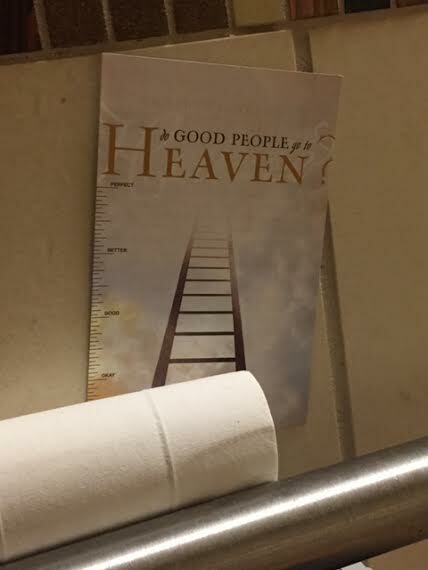 Sometimes, "heaven" is just a public toilet with TP. The grab-bars are ADA requirements. The TP is not. Methinks if it's "heaven", the ruler on the side of it should be a lot... longer.